Mistborn: Secret History. It's right there in the title: this is a SECRET history. That being said, there is very little that can be discussed here, plot-wise because everything is a MASSIVE spoiler for The Mistborn Series. The blurb says that this novella contains major spoilers for the original Mistborn trilogy and only minor spoilers for the Wax and Wayne series, but like many other readers, I disagree. This book contains MAJOR spoilers for all of the Mistborn books. DO.NOT.READ.this book unless you are fully caught up, up to The Bands of Mourning, otherwise that ending will not have the effect that it should. Which is: blowing your mindhole. Moving on to what we can actually discuss here. 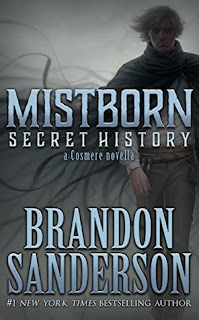 Secret History is the novella that Mistborn fans have been waiting for. The one they deserve. This book changed everything for me. I feel like I understand my beloved series on a whole other level now. Sanderson has given us background for the entire series, complete with the logic that was behind certain key twists that might not have sat well with some readers. Every single detail of this story has been transformed. My understanding for the series has deepened and been fully transformed. I have this intense craving to reread the entire series all over again just to be able to fully revel in what I'd missed the first time around. With a simple 149 page novella, Sanderson has broadened the scope of his entire universe tenfold. Lord Ruler knows, I've raved about the man's writing skills time and time again but now? Even I'm left speechless! 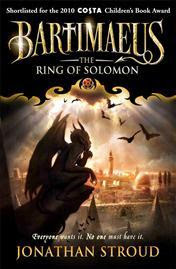 Yes, this novella is a MUST READ for fans of the Mistborn Series. You can not continue to exist without having this book in your life. I was completely swept away from the first page and remained riveted through the very end. The feels though!! I was not prepared for so many feels to assault me and leave me broken and crying in a heap. Secret History is all that and more! There is always another secret. And with Secret History, Brandon Sanderson has outdone himself in that respect. If you survive reading this, I'll be here to hug it out afterwards.Very rarely do novellas earn a 5-star rating for me but this one did just that. And then some. My first 5-star read of 2016! I don't know Jenny!! But I hope you'll get a chance to fix that soon ;) I'd love to hear your thoughts on Sanderson! *high five* I agree, I was surprised by how blown away I was and THAT is saying something! 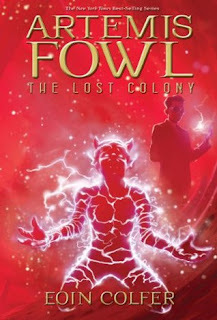 I so need to read this series! You are quickly becoming my go to for must read fantasy and I love it! Great review! YAS! 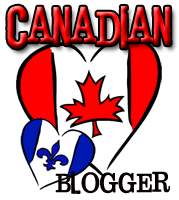 A higher compliment could not be had :D I hope you check it out soon Teresa and that you love it as much as I do!! I like stuff like this, where an author puts something out that expands on a world or books and adds more. Obviously not having read Sanderson I wouldn't start here, but it does look intriguing and somehow I've got to fit some Sanderson writing into my life! Maybe he can take GRRM's place as my fantasy go-to as those books don't seem to be coming any time soon! 150 pages is actually a good sized novella - I always wonder about novellas and whether I should read them, but this one definitely sounds worthwhile! It is, but it read SO effortlessly, it seemed to fly by in no time! Yeah this one is 100% a MUST for fans of the Mistborn series! Oh you've hooked me now. I wasn't originally going to pick this up, but now..."This book changed everything for me." Wow, that's one powerful statement that just can't be ignored! Now I'm curious what's in here that made it all click for you! I usually skip novellas, and I admit when I saw this book I totally thought it would be a "side" thing. But okay, now I think I'll really have to grab this! Well, I haven't read these series so I couldn't read much of your review. I like the premise though! I love books that really give you more to a series. That is so awesome that a novella packed such a punch! The thing that I dislike about novellas that are part of a beloved series is that I usually end up wanting more and wishing they were full length novels instead, lol! 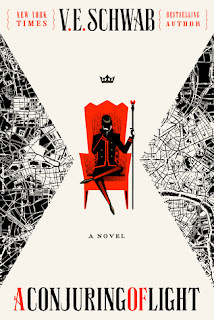 I know what you mean...this one was absolute perfection though and it tied into the sequel series so the want for more can and will be met LOL! Wow. I didn't even know this existed! Great review. I've only read the first Mistborn, and I kind of want to re-read it before reading the rest of the series and now this novella. So much to read! I agree with you that Sanderson is a master. I love everything I read by him. It's a very new release Nori^^ Thank you :) A reread would probably be a good idea but even though they're thick, they're pretty quick reads. Soooo worth it too! I hope you get a chance to catch up soon :D Sanderson is the best! Enjoyed it is too mild! I was BLOWN AWAY LOL! It changed everything for me and now I want to reread the original trilogy SO BAD...but you're right: not enough time! LOL!